Deciding on the best fare type to suit your needs can sometimes become a confusing choice. As the Airfare Experts, we have all the inside knowledge to help you plan and decide if an 'open jaw' or 'multi-stop' flight is the right choice for your next holiday. Here is a simple airfare terminology guide to explain the common airline ticket types, from the basic to the complex. Our airfare terminology guide is just the ticket! What is a One-Way Ticket? 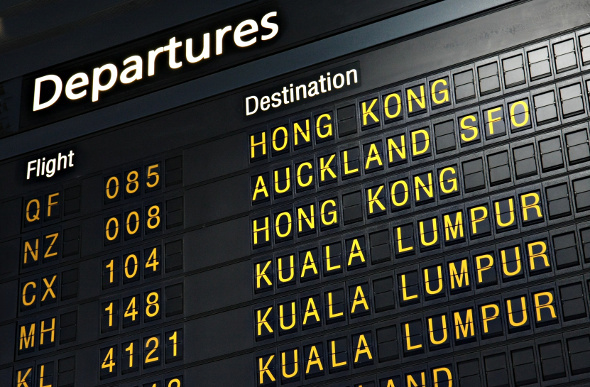 A one-way ticket is a single flight between two destinations. For example: a one way flight from London to New York with no return date. What is a Return Ticket? 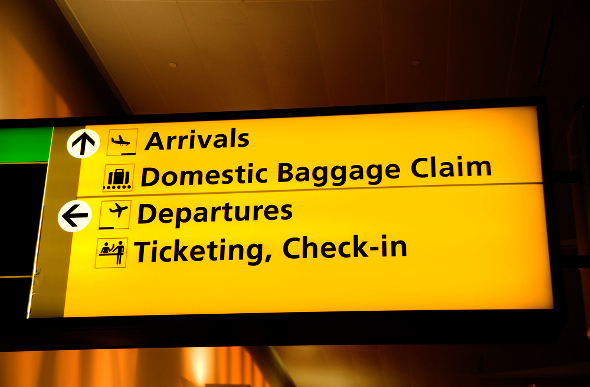 A return ticket is a flight to a destination and back to the original departure point. For example: London to New York and return back to London. A stop-over is a scheduled break between flights lasting longer than 24 hours, at an in-between point when flying to a destination. For example: flying London to Sydney with a stop-over in Dubai of more than 24 hours before continuing on to Sydney. An exception to this rule is for travel entirely within Central America, where it’s considered a stop-over when the next scheduled departure is more than six hours after arrival at the intermediate point. A lay-over is when you have a ticket to a destination that has an enforced stop. Generally this stop is to swap aircraft or mode of transport or to refuel the aircraft at a designated stop. It refers to the time spent on the ground in-between flights. For example: you are flying London to Sydney via Singapore and you stop in Singapore for just a few hours before continuing to your final destination. What is an Open-Jaw Ticket? An open-jaw ticket allows travellers to fly into one destination and return to the original departure point from a different destination. These tickets are particularly useful when travellers wish to journey overland on a specific tour, take a self-drive holiday between different destinations, or book a one way cruise. For example: flying London to Los Angeles and returning to London from San Francisco. Coming? Going? Our Airfare Experts are all over it! What is a Multi-Stop Ticket? A multi-stop ticket or a multi-city ticket is an individually tailored or pre-packaged flight itinerary that allows travellers to stop off at multiple destinations before returning to their original point. For example: flying London to Hong Kong with a lay-over; on to Melbourne with a lay-over; returning from Auckland to London. These itineraries include a stop in each city and allow you to see more destinations on the one ticket. A Round the World (RTW) ticket is an individually tailored flight itinerary that allows travellers to stop off on multiple continents or destinations, all while flying in one direction around the globe and returning to their original departure point. To make the complete journey, travellers might fly on different airlines that are either grouped together as an alliance or have special ticket arrangements. RTW tickets are either a fixed price, are calculated by the miles travelled, or determined by the continents visited. Tickets are available in Economy, Business Class, First Class or in a combination of different cabin classes. At Flight Centre, we have dedicated Round the World Experts to help build your ideal itinerary. What is a Mixed Class Ticket? A mixed class ticket is an individually tailored airfare that allows travellers to fly in different airline classes on different flights. For example: travellers could fly to the Asia in Economy Class, then fly from Asia to Australia in Business Class. Mixed class is available via a combination of any Economy, Premium Economy, Business or First Class airfare. Our dedicated First and Business Class experts can help with all mixed class fare types to suit your needs. What is an International Airpass Ticket? International Airpass tickets are special fare tickets offered by certain carriers in specific countries or regions. They allow the flexibility to travel around a country, region or continent with multiple legs. For example: Star Alliance offer an Africa Airpass for between three and 10 flight segments on the one airfare, allowing you to fly between select airports at any time. Still have questions about airfare terminology? Speak to one of our many airfare travel experts, or our dedicated teams that specialise in all types of tickets enquiries. They will source the best deals and tailor-make an itinerary to suit your needs, with the ability to answer any questions you might still have.